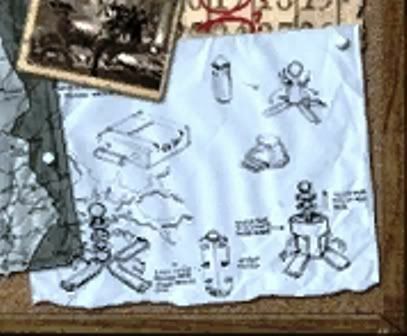 Did anyone notice the writing along the ship deck under the object chained down? This is a Russian Nuclear Light house located in the Arctic circle on Russias Northern boarder.. Abandoned Russian Polar Nuclear Lighthouses Link. Russian Northern coast is a vast territory lays for a few thousand of miles and all this coastline is inside the Polar Circle. Long polar winters mean no daylight at all, just one day changes another without any sign of the Sun rising above the horizon. There is only polar night for 100 day a year. But across this Northern coast there was always a short way for the cargo boats to travel from Eastern part of Russia to the Western. Now this trip can be made fairly easy with the appearance of all the satellite navigation equipment like GPS and others, but during the Soviet Era they had none of this. 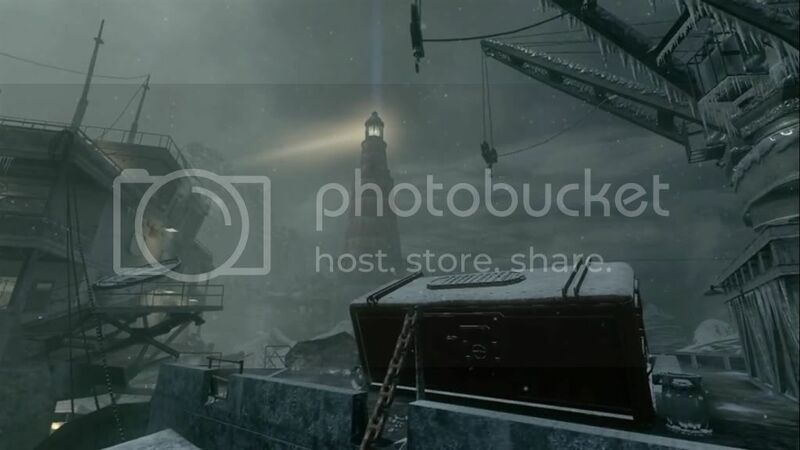 So, the Communist Party of the Soviet Union decided to build a chain of lighthouses to guide ships finding their way in the dark polar night across uninhabited shores of the Soviet Russian Empire. So it has been done and a series of such lighthouses has been erected. They had to be fully autonomous, because they were situated hundreds and hundreds miles aways from any populated areas. After reviewing different ideas on how to make them work for a years without service and any external power supply, Soviet engineers decided to implement atomic energy to power up those structures. So, special lightweight small atomic reactors were produced in limited series to be delivered to the Polar Circle lands and to be installed on the lighthouses. Those small reactors could work in the independent mode for years and didn’t require any human interference, so it was very handy in the situation like this. It was a kind of robot-lighthouse which counted itself the time of the year and the length of the daylight, turned on its lights when it was needed and sent radio signals to near by ships to warn them on their journey. It all looks like ran out the sci-fi book pages, but so they were. 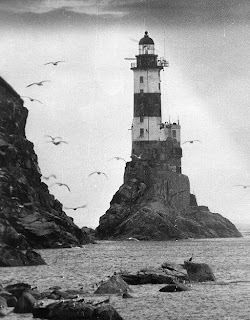 Then, after the collapse of the Soviet Union, the unattended automatic lighthouses did it job for some time, but after some time they collapsed too. Mostly as a result of the hunt for the metals like copper and other stuff which were performed by the looters. They didn’t care or maybe even didn’t know the meaning of the “Radioactive Danger” sign and ignored them, breaking in and destroying the equipment. It sounds creepy but they broke into the reactors too causing all the structures to become radioactively polluted. 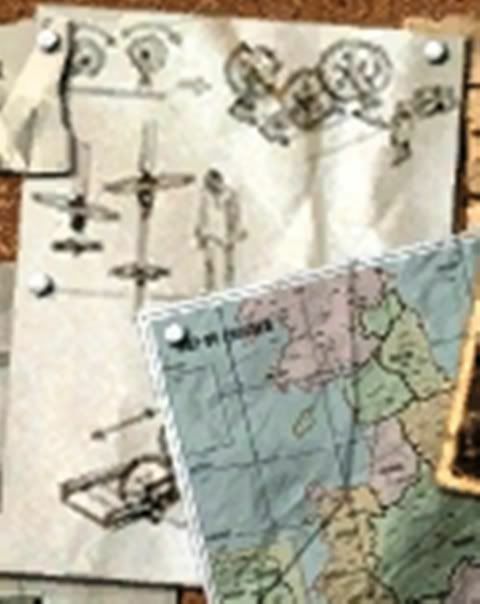 I can see a ship bridge in there which could mean they re-used the Nova6 ship like I said in the British connection thread. Operation Surgeon The British Connection Link. I'll edit this thread when the map pack comes out. 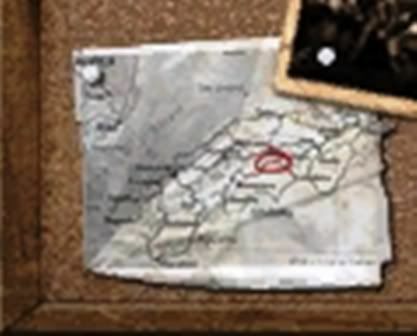 In this Board, In the bottom left corner is a map with the area circled in red. As far as I can tell it is south western england, Lands ends way. Looks familiar some how doesn't it? 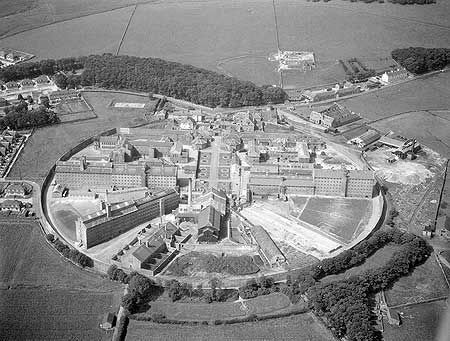 It is Dartmoor prison. Would make an intereting location for an event of somekind. 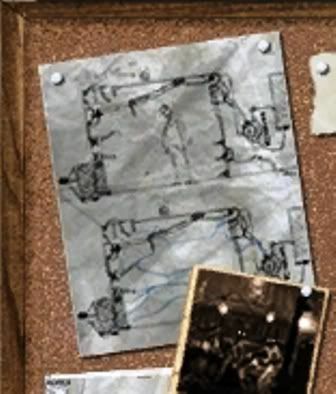 It resembles the God trap from Indiana Jones and the last crusade, at the end, the chap who loses his head, I think it should be called "The Penitent", What do you guys think? Looks like the electric fences except that the current flows horizontally. 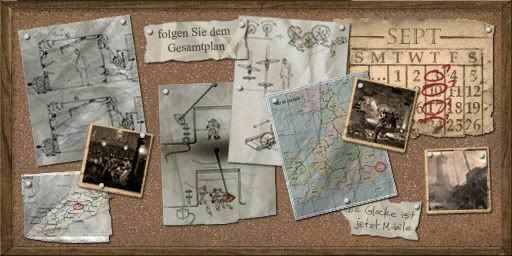 Could be a diagram of the Die Glocke or maybe another trap design or the Pack-A-Punch/Teleporter designs, I'm open to suggestions, this is from the German corkboard. Hope you enjoy the pictures, and I hope this has brought new information to light. OMG, the spelling & grammar are real!